While we strive to achieve academic excellence at every level, we believe that our highest calling is to see to the spiritual development of each student in our care. They are prayed for daily by our loving staff that they might know Jesus Christ as their personal Savior, be obedient to His will, and live holy, God-honoring lives encouraging others to do the same. Our core beliefs pervade every aspect of instruction at GCA. We believe that this approach best positions our students to succeed academically and socially. We do not seek to usurp the rightful authority of parents in a child’s life, but it is critical that we have our parents’ support and cooperation in all matters of education and development. 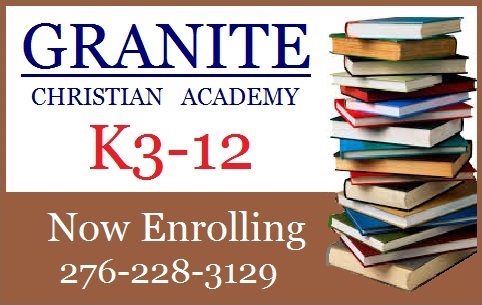 Our heart’s desire is to assist parents in every way we can to bring their children up in the “nurture and admonition of the Lord.” We count it a high and holy privilege to educate children and take it very seriously. Our faith demands that we approach every aspect of this academy with a passion for excellence. With this in mind, you can be assured that we strive to meet the highest standards of spiritual and academic achievement.